You are here: Home / Lifestyle / Is It Time To Remodel The Kitchen? Planning to remodel your Kitchen soon? 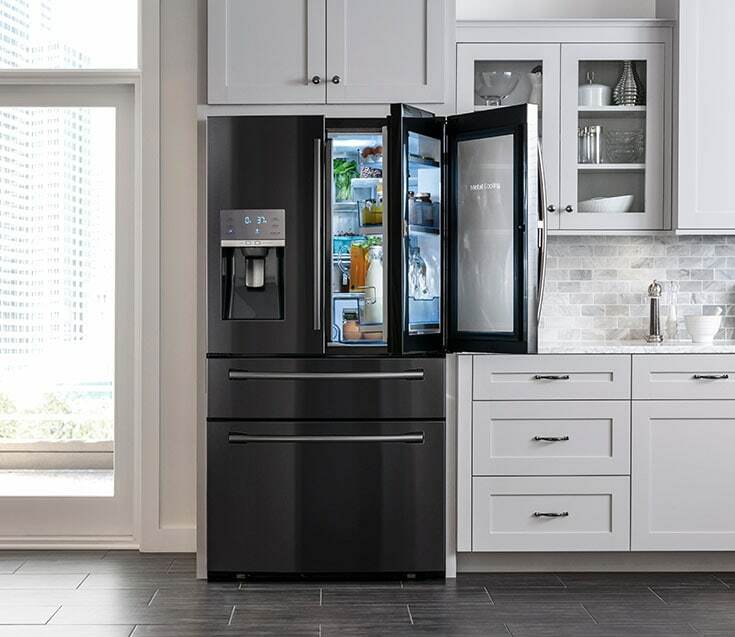 Now is the time to be picking out your appliances! 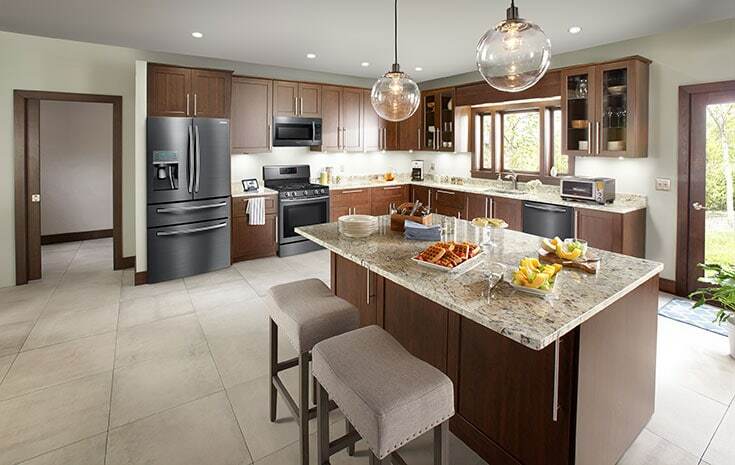 If your kitchen is like mine, it is in need of appliance upgrades. Mine do not match and I am sad to say, the range does not work properly. However, Best Buy is here is to save the day! They are having an Appliance Remodeling Sale and Samsung Appliances are shining bright! 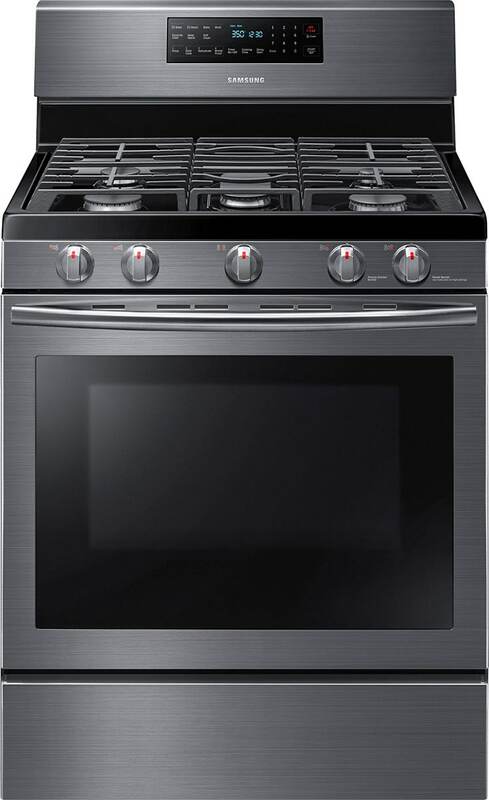 I have been eyeballing the new Samsung appliances in the Black Stainless. I just love the finish! Just check out this beauty of a range! This range makes me wish we had a gas instead of an electric range. However, Samsung has great electric versions as well. In our previous home, we had a refrigerator that had the freezer on the bottom. Boy, do I miss it. I love the quick access door bins on this model. Would come in very handy with the boys. So why should you be looking now? As I mentioned before, Best Buy is having an Appliance Remodel Sale. What does that translate to you in savings? So now would be a great time to run to Best Buy and pick out your new appliances. Make sure you check out the sale details. We remodeled our kitchen last year, but we did not buy new appliances at that time. We likely need a new refrigerator soon, though -so, I will definitely head to Best Buy! wow beautiful ! and spacey love this!